Alison Rose is the winner of the 2015 Maggie Teyte Prize and a 2017 Leonard Ingrams Award. 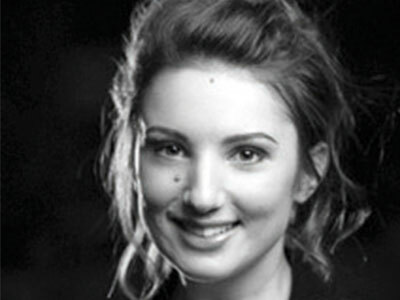 She studied on the Opera course at the Guildhall School of Music and Drama and attended the National Opera Studio. Notable roles elsewhere: Barbarina (Garsington Festival Opera); Vixen The Cunning Little Vixen (Grimeborn Festival/Arcola Theatre); Frasquita Carmen (understudy for Glyndebourne Festival Opera); Lady-in-Waiting Gloriana (St Endellion Festival); Miranda in Arnold’s The Dancing Master, Bětuška in Dvořák’s The Cunning Peasant (GSMD); Adele Die Fledermaus (Clonter Opera); Servilia La clemenza di Tito (RNCM). Performances at the National Opera Studio included residencies with Opera North and WNO. Concert highlights include Vaughan Williams’s Serenade to Music (BBC Last Night of the Proms 2016), Messiah (Royal Albert Hall), Iain Burnside’s musical play Shining Armour (with Roderick Williams), Britten’s Les Illuminations (Southwell Music Festival) and solo recitals at the Oxford Lieder Festival and the Royal Opera House Crush Room. She continues her studies in London with Gary Coward. This is her ENO debut.